Following a mass exodus of senior players at Villa Park before the start of last season, there was an air of pessimism surrounding Aston Villa that had not been there for some time. Despite the arrival of promising young manager Paul Lambert from Norwich City, fans were concerned at owner Randy Lerner’s insistence on blooding young players, particularly as barely any of them had any real top flight experience. 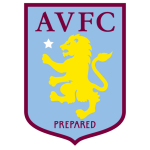 With key senior players Richard Dunne and Stiliyan Petrov sidelined for the whole season through injury and illness respectively, many had Villa as favourites for the drop. However, despite a season-long relegation dogfight, the Villains managed to pull themselves clear of safety with a few games to spare while keeping to the manager’s ideals of positive attacking football. With a years experience under their belts, Lambert’s young charges will be looking for a season free of relegation worry and going by the fearless nature of some of their Premier League rookies performances in the final ten games of last season, there may be reason for that cloud of pessimism over Villa Park to slowly begin to lift. Upon receiving his coaching badges in 2005, Lambert plied his trade in the lower leagues of English football with spells at Wycombe Wanderers and Colchester United following a brief stint as player/manager of Livingston in Scotland. He was then appointed manager of League 1 side Norwich City at the start of the 2009/10 season, a season which saw the Canaries lift the league title and gain promotion to the Championship. Lambert’s success did not stop there, however, as the following season he led Norwich to a second straight promotion, the first team to achieve the feat in over eleven years, regaining the club’s Premier League status for the first time since their relegation in 2005. 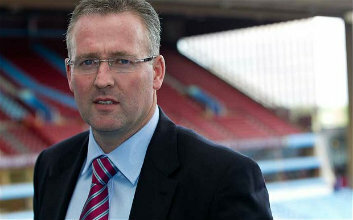 Having comfortably retained Norwich’s top flight status the following season, leading them to a 12th place finish, Lambert was ready for a new challenge and in June of 2012 was appointed manager of Aston Villa. With the club running their transfers on a “sell-to-buy” basis, he was faced with an uphill task given the club’s insistence on buying young players with a future sell-on value. At the start of last season, Lambert found himself with a team seriously lacking in top flight experience. However, despite suffering embarrassing exits from both cups to lower league opposition as well as some heavy defeats in the league, Lambert and owner Randy Lerner’s trust in young players paid dividends with some stellar performances in the last ten games of the season, namely a 6-1 home victory against relegation rivals Sunderland, to see them steer clear of safety. Many criticised the Villa manager’s decision to leave established players such as Darren Bent and Shay Given on the bench for large portions of the season but with the emergence of Premier League newcomers such as Ashley Westwood, Matthew Lowton and in particular, Christian Benteke, Lambert will feel confident that his young side can build on last year’s end-of-season promise for the new Premier League campaign. As part of the huge wave of young Belgian talent emerging in Europe’s top leagues, Benteke announced himself in the Premier League last season with 19 goals in his debut season, earning a nomination for the PFA Young Player of the Year Award in the process. With immense pace to match his striking physical presence, it’s no wonder top clubs such as Tottenham and Chelsea were said to be interested in attaining his signature this summer. However, in what could prove to be key for Aston Villa’s prospects this season, Benteke decided to sign a contract extension which keeps him at the club until 2017. The Belgian international initially made his name with Jupiler Pro League side Genk in Belgium where as a 21 year old in his first full season at senior level, he scored 19 goals in 37 appearances prompting an international call-up as well as a £7million move to Aston Villa. Since then, Benteke has gone on to become one of the most exciting prospects in English football. Yet, as with all players who make such a big impact in their first season, all eyes will be on the big man to prove that he can overcome “second season syndrome”, something that has overcome players such as Papiss Cissé and Gylfi Sigurðsson in recent seasons. However, by staying at Villa Park, Benteke has given himself every chance of continuing the blistering form shown last season where he formed an exciting partnership with frontmen Gabriel Agbonlahor and Andreas Weimann. As a young man of 22, three different clubs in three seasons would do very little for his development and with the stability this new contract has given him, Villa fans may be in for a campaign where Benteke further asserts himself as one of the league’s most dominant, fearsome strikers. Having survived a testing season, most of which was spent in the bottom three, Villa’s young players as well as Paul Lambert will have taken a lot on board and learned from mistakes made last season for example when having impressively beaten Liverpool 3-1 at Anfield, went to Chelsea the following week with the same attacking intent, only to lose 8-0. The signs of improvement were there for all to see in the latter stages of last season though as Villa were unbeaten in 7 of their last 10 league games, a run that included 5 wins. When the correct balance is struck, Lambert’s side have proven quite difficult to beat and will be more streetwise this time around as to how they must adapt their attacking instincts. 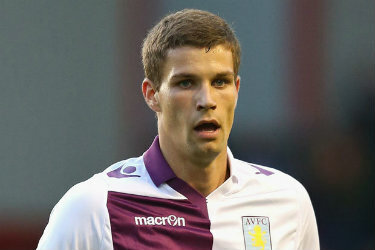 The club policy of young recruitment has continued into this summer with five new faces arriving, all under the age of 23, including exciting young Danish striker Nicklas Helenius (pictured below) which will improve Villa’s attacking options with the departure of Darren Bent expected before the close of the window. Defensively, captain and leader Ron Vlaar, the highly rated Matthew Lowton (both pictured above) as well as American goalkeeper Brad Guzan give Lambert a solid base on which to build his young side and with an ensemble of young attackers eager to make an impact, Aston Villa can be confident that this time around there will be no such relegation worries but instead, with a years experience under their belts, a comfortable mid-table finish that is perfectly in line with the redevelopment of one England’s most historic clubs.